Many computer users prefer laptop over desktop and Samsung is a brand that produces great laptops for its users. But if your Samsung laptop has been used for some time and it has become slow in time, then you must be very annoyed for that. Actually, laptop performance level decreases in time for various reasons. It can be a virus attack or any kind of malware that is harming your laptop. So restoring Samsung laptop to factory settings is the smartest choice for you. But if you don’t know anything about Samsung laptop factory reset, then you have come to the right place. 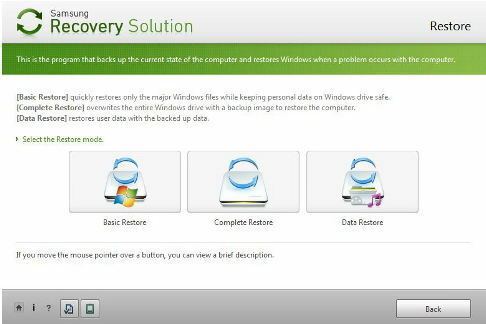 In this article you will get the guideline for best 3 methods to factory reset Samsung laptop in Windows 10/8/7. There is no need to panic, just follow this article to solve your Samsung laptop issues. First you need to turn your laptop on. When your laptop is still switching on, hold the key “Esc” and keep holding it until the screen is turned into the restore system. 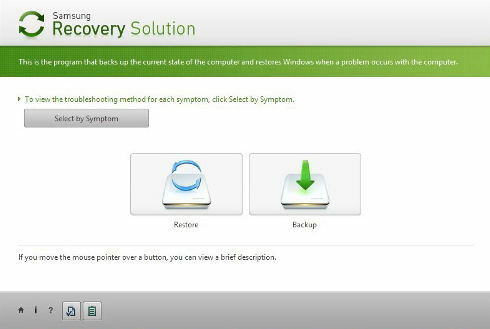 Now, you need to find Samsung Recovery Solution program on your laptop screen and click on “Restore”. You will get 3 options you can choose from here – Basic Restore, Complete Restore and Data Restore. You need to select the restore type that you want to perform and click on it. After the factory reset process is finished, your Samsung laptop will be turned off automatically. 1. First you need to go to the Start menu and choose “Settings”. 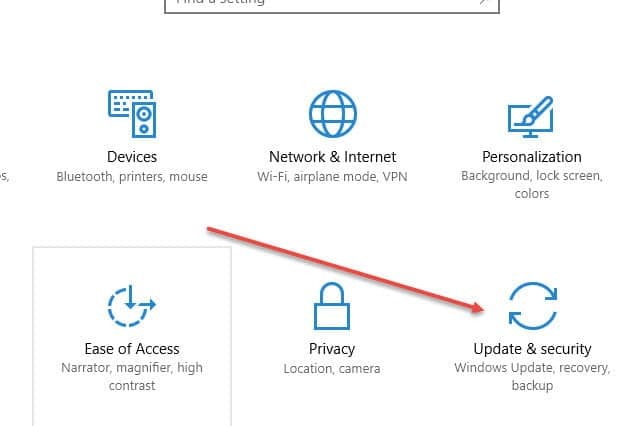 Then select “Update &security” option. 2. 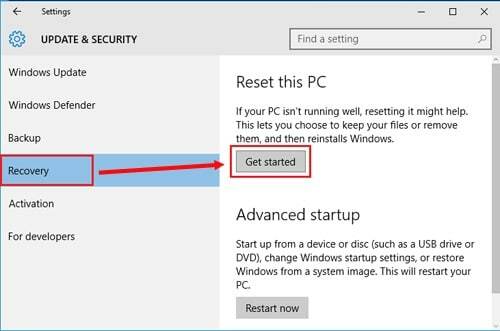 Now to start the process, you can click on “Get started” which you will find under the “Recovery” section of “Update & Security”. From here you can also choose if you want to keep files or do a full reset. 1. First you need to move your mouse pointer to the upper-right corner of laptop screen. Then you need to move the mouse pointer down and click on “Settings”. Then you need to select “Change PC settings”. 2.Next select “Update and recovery” option and click on “Recovery”. 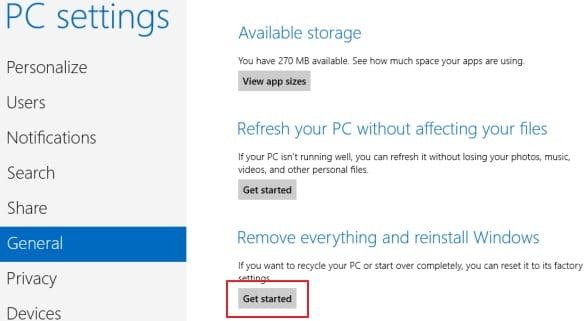 3.Finally, under the “Remove everything and reinstall Windows” option, click on “Get started”. 1.The very first thing you need to do is, download, install and launch the software on a computer/laptop and insert an empty USB drive on that computer/laptop. Now from the main interface of the program, you need to click on the “USB device” option and select that USB drive from the drop down list that you will get your screen. 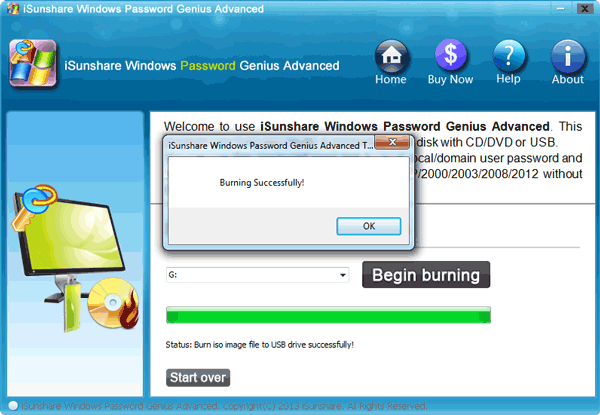 2.Next you need to select “Begin burning” to burn the password resetting USB drive. It will finish within 1 minute or less. 3.Click on the “OK” button and finish the burning process. 4.Now comes the main process and you need to insert the bootable USB flash drive in your locked Samsung Laptop. Then restart it and enter the boot menu by pressing the “F12” or “ESC” button. 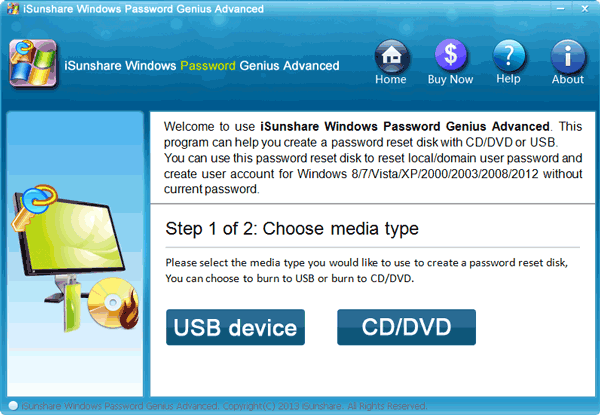 5.Then you need to select the USB drive as your boot device and press “Enter” button. 6.You will see the main interface of the recovery software in your laptop screen now. 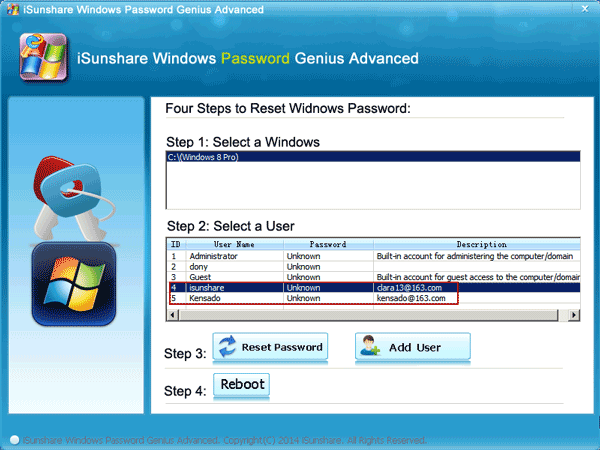 7.Select the Windows system and user account that you need to reset the password from. Then click on “Reset Password”. 8.On the final step, click on “Reboot” button to restart your Samsung laptop. You will be able to log into your laptop without any password from now. Now you can go to Method 2 and factory reset Samsung laptop from PC setting. It’s obvious that after a virus attack or any kind of slow performance, you are irritated with your Samsung laptop. But after reading this article, you have the best 3 solutions to factory reset Samsung laptop in Windows 10/8/7. The best way to restore Samsung laptop to factory settings will always be, by using Windows Password Recovery. So without wasting any time, start using the tool now.